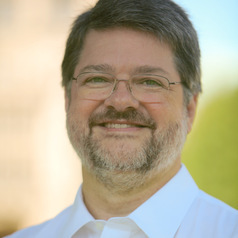 Robert Rebelein is an Associate Professor of Economics. He received his Ph.D. from the University of Minnesota in 1997. His teaching and research interests focus on macroeconomic issues in the United States, including the national debt, individual income tax issues, and selected health care topics. He has been a Senior Economist for the President's Council of Economic Advisers (2008-09) and a Financial Economist for the U.S. Treasury Department (1997-99).